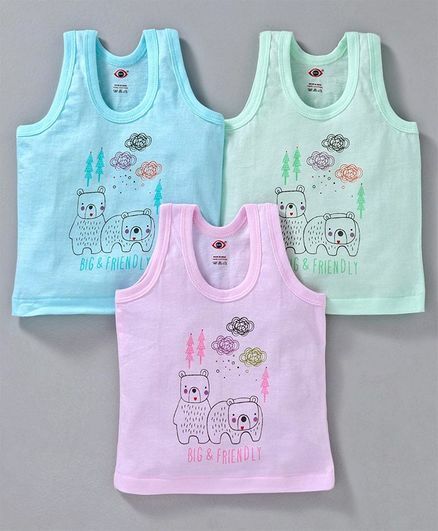 Zero presents set of sleeveless vests for your little champ. Adorable print on solid colour makes it look attractive. This round neck vest will keep champ comfortable all day long. OK for its price. colours are good. size ok. satisfied . very nice product...quality is good.